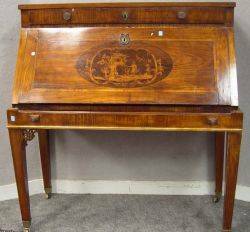 Late 20th C. walnut writing desk. 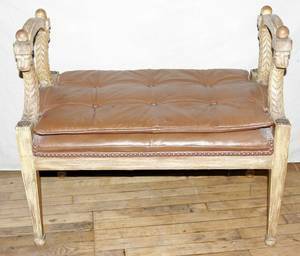 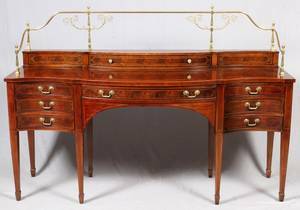 Italian Neo-classical style, by Baker Furniture, with tooled leather inset panel top, 5 drawers and pull out slides, with brass mounted legs. 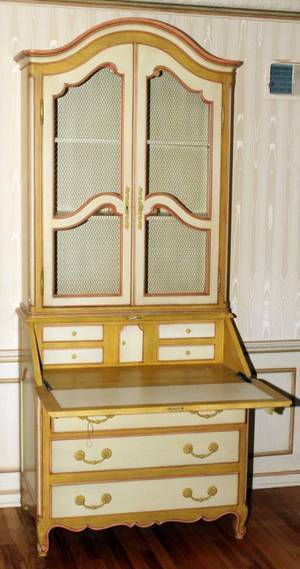 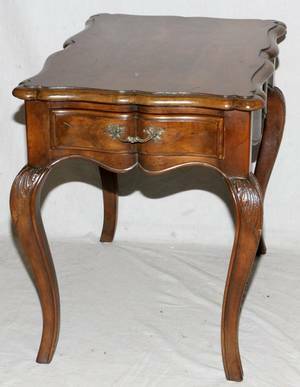 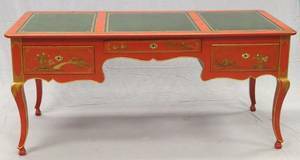 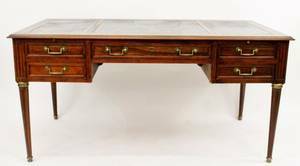 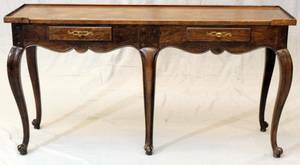 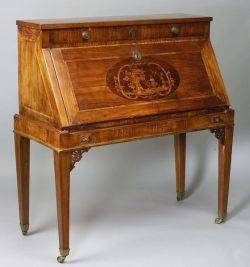 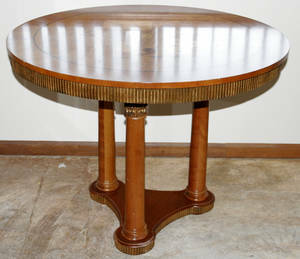 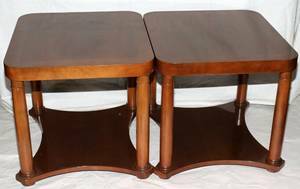 30.5"H x 60"W x 30"D.
Northern Italian Neoclassical-style Fruitwood Marquetry Slant-lid Desk.